Home &rtrif; Counseling & Mental Health &rtrif; Is it an emergency? If you are experiencing distress and are not sure what to do, please refer to the graphic below. It provides a helpful flowchart that will direct you to the appropriate resources. 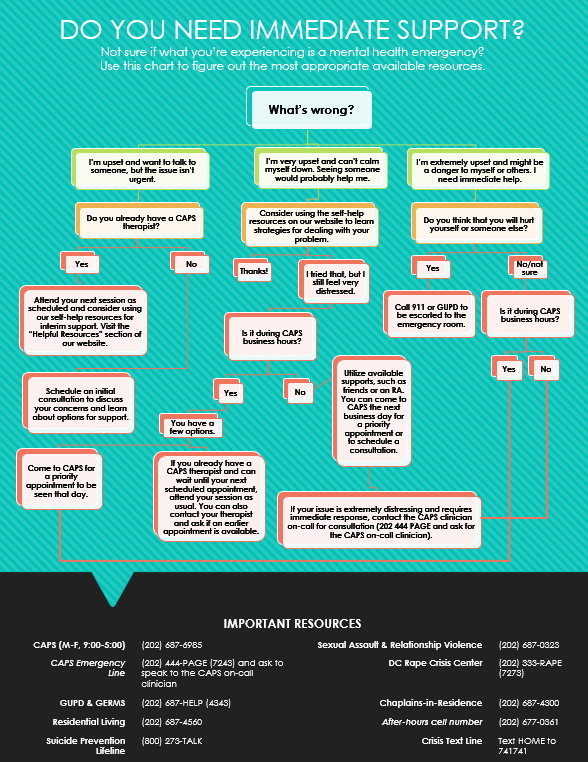 To view a larger version, you can download the flowchart.